WatersideEvents at Currumbin RSL has all the information to help you choose the perfect theme for your wedding. When you begin to plan your wedding, one of the first things you have to decide is what your wedding theme is going to be. Your theme will tie together your decorations, food and flowers. For many couples their theme is going to be based on their personal style and tastes. For some couples, this might mean choosing a theme based on a special interest or something close to their hearts. Over the past decade, the trend of special interest themed weddings have slowly been increasing. Here at Currumbin RSL, we’ve seen a lot of different wedding themes, some unusual, some traditional, and we can help you choose the right theme to suit your wedding. 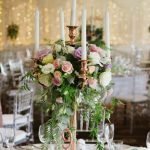 A unique wedding theme that has proven popular with generation Y over the past decade is the Harry Potter themed wedding. There are many different ways in which couples have incorporated this theme into their wedding, some going all out, and some incorporating it more subtly. At Currumbin RSL, we have seen wands used as place cards to direct people to their tables, Marauders Maps as invitations and Honeydukes style candy bars. These subtle touches look fantastic and will add a fun atmosphere to your wedding. Recently a photographer in North Carolina created a Game of Thrones themed wedding shoot. This included invitations with GOT family crests and motifs, dragon scale style icing on the cake, wolfhounds standing in as Direwolves, a lavish medieval style feast and a Daenerys Targaryen style wedding dress. While this might seem outlandish to those unfamiliar with GOT (do these people actually exist? ), for GOT fans this is a wedding they’ll never forget. There has been a lot of unusual wedding themes over the past decade: Star Wars, superheros, Lord of the Rings, Zombie weddings and even recently a Hunger Games themed wedding. Some of these weddings have chosen to incorporate their theme into their decorations, some have incorporated it into every aspect of their wedding, including dressing up to match their theme. These are certainly weddings that won’t be forgotten by anyone who attends them, how often do you see a couple get married by Gandalf? For those looking for a more traditional theme – the rustic, vintage, beachside and classic wedding themes are very popular and will always look stylish. Our dedicated team of wedding executives can help you incorporate whatever theme you choose into your wedding. Our pick for the most popular wedding theme for 2017 is a vintage theme with modern elements included. Your theme doesn’t just have to include your food and decorations. There a lots of fun ways to incorporate your theme. You could choose to have themed cocktails on offer for your guests. You could create custom labels for the water bottles on your tables to match your theme. You can also incorporate the theme into your wedding favours. If you are having a rustic candle lit wedding reception, why not have scented candles with your initials and the date of your wedding engraved on them? One of our favourite wedding favours for couples planning on their reception being a big night are hangover helper kits. These cheeky gifts often include Powerade or bottled water, Panadol, sleeping masks, Berocca and mouth wash.
For help with choosing a theme for your wedding and how to incorporate your theme into your wedding, why not chat to our team of wedding executives at Waterside Events. They’ve seen it all and can help you pick the right vendors to fit the theme of your wedding. Send us your enquiries.